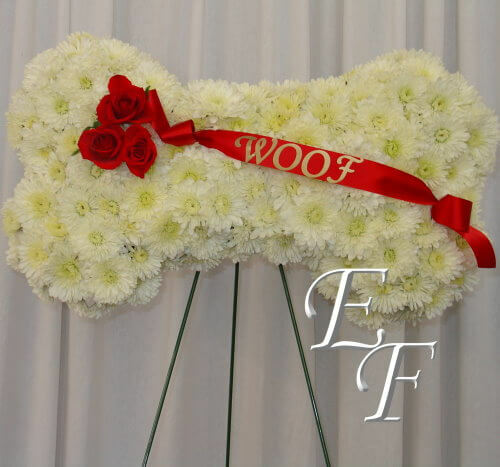 Every once in a while we get a request for pets to send floral tributes to their owners. 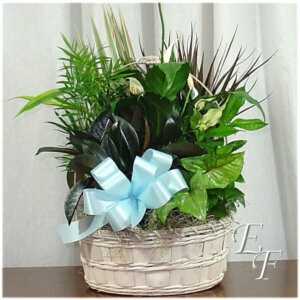 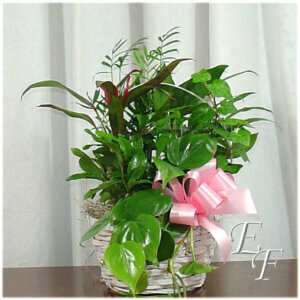 This design was sent by one loyal friend to his owner as a special remembrance of their love. 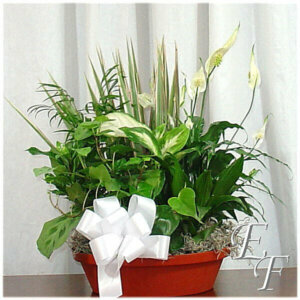 As shown, the design is mounted on 42″ easel and is approximately 19″ wide.